This is very cute short-episode series about a boy and his pet baby seal. There is little to no plot overall, and each episode consists of small mundane everyday adventures they go on. It's not an amazing show, but it's cute enough to be worth a watch. It's a great show for animal lovers, kids, people who like anime such as Chi's New Home. 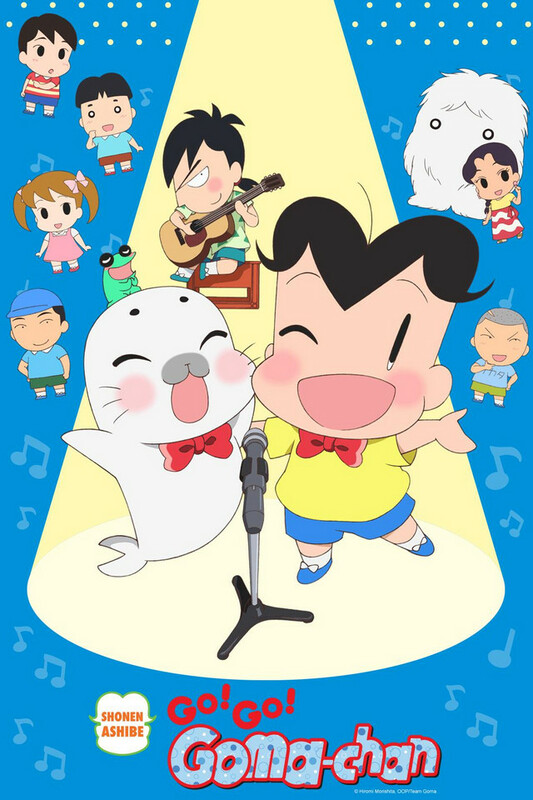 Here is another adorable anime series I found on Crunchyroll with an equally adorable, pleasant story about the friendship between a baby spotted seal called Goma-chan and a little boy named Ashibe Ashiya. Another reason I love this series is because I love seals. Based on a comical manga serialized in 1988, this story was then adapted into an anime series in 1991. But since I had never seen the pervious anime, this series is the only version that I now love. I had also heard that the adorable Goma-chan had created a massive following as well as a spotted seal boom. So all I have to say is that I really love this series with its humorous, lighthearted story and wonderful animation. For being a short anime, sometimes I found it felt really long. I am glad to hear this season has finished, because I can remove it from my queue. I may watch the second season sometime, but it won't be any time soon. I don't hate it, and I still think its cute. But I really just felt that a lot of the episodes were dry and drug along. My wife and I have been watching this show for the past couple of nights before bed. It's simple, adorable and quite funny! My wife is Japanese and knows of the original version of this show which must be something like 50 years old at this point. She calls it a good recreation of the original material. Bizarre and adorable. I especially like Mao, Japan's answer to the Peanuts' Marcie (Peppermint Patty's extremely...special friend). The humor comes at a cost, however; between Goma's incessant squealing and Ashibe's total lack of pitch and volume control, your ears will begin to bleed after about 4 minutes of viewing. I find cotton balls very helpful in controlling the bleeding.